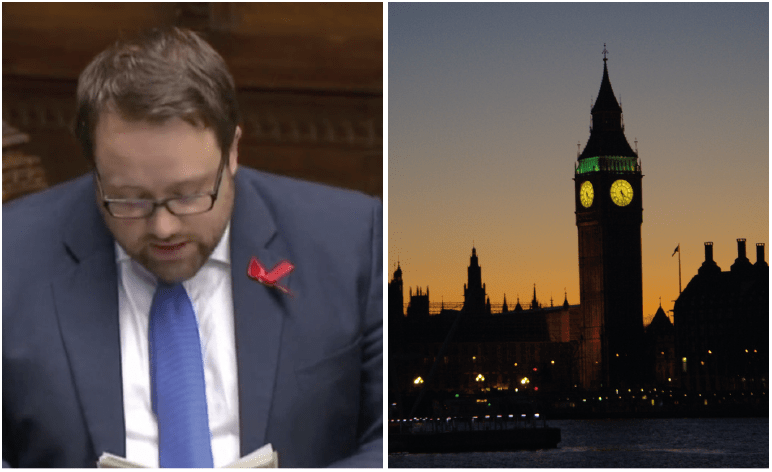 In the past week, numerous named and unnamed MPs have been accused of sexual misconduct and harassment. 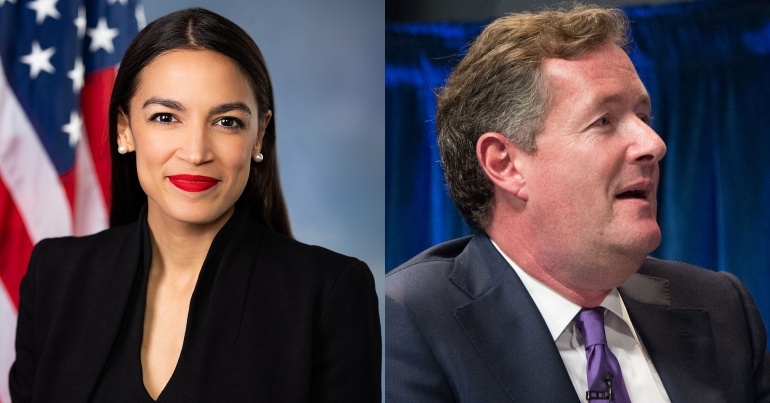 And although a tolerance of such misconduct has been admitted in the past, the current post-Weinstein atmosphere means that politicians are having to take these accusations seriously. As such, it is important that politicians show solidarity with victims. 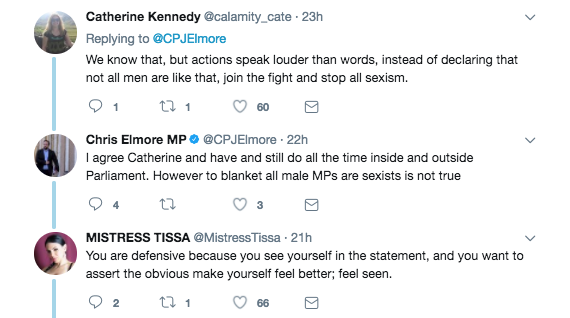 But one male MP has responded in a manner that some have objected to. And he’s refusing to back down when challenged. Just a point. 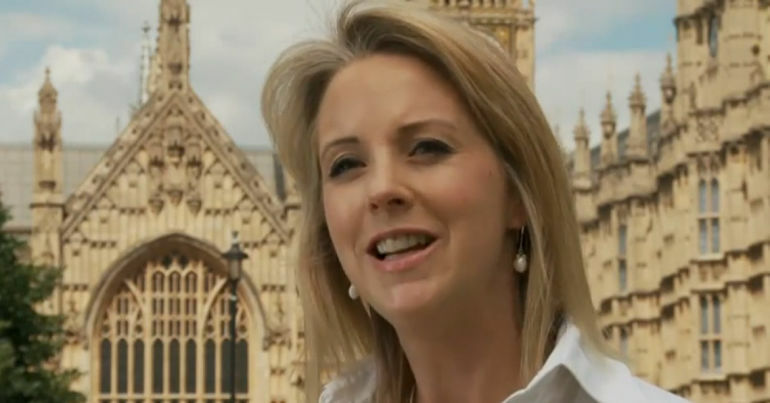 There are many male MPs who are not sexist, don’t condone sexism & call it out frequently. We’re not ‘all the same’. When men say “not all men,” they’re often speaking defensively… They see themselves in stories about women’s oppression and don’t like how they’re being represented. But these stories aren’t about them, and members of marginalized groups should be able to talk about their own experiences without worrying about damaging privileged people’s egos. When men or white people or members of another privileged group have the opportunity (which nobody owes them!) to learn about another group’s experience, their job is to listen, not to defend themselves. The Canary contacted Chris Elmore for comment, but had not heard back by the time of publication. 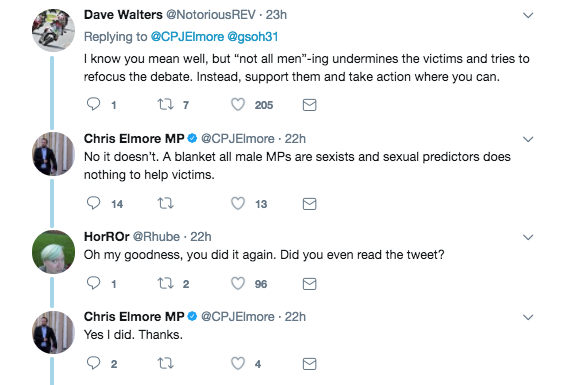 Regardless of Elmore’s intentions, it’s now a tired trope that, when men face accusations, a man will turn up and say ‘not all men’. Now, more than ever, it’s important that we listen to people’s experiences. Part of that experience has been that, when speaking out, people have come up against defensiveness. 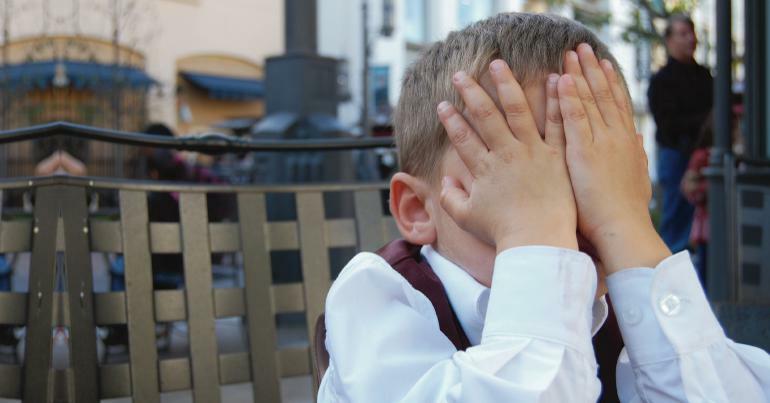 By acknowledging that such defensiveness doesn’t help, we can better move forwards. – Support Sisters Uncut, taking direct action for domestic violence services. – Donate to South Yorkshire Women’s Aid’s crowdfunder to keep the service open.